Sunday, December 09, 2018- Nairobi city is making headlines world over after a tourist captured this rare spectacle in Nairobi National Park. Lamak Sheikh, 56, was having good time at the Park taking photos not knowing that he would capture the hilarious moment rhinos decided to get it on in front of the city’s skyscrapers. 'It was another lucky day in my time at the Nairobi National Park.' Lamak said while sharing the photos on social media. 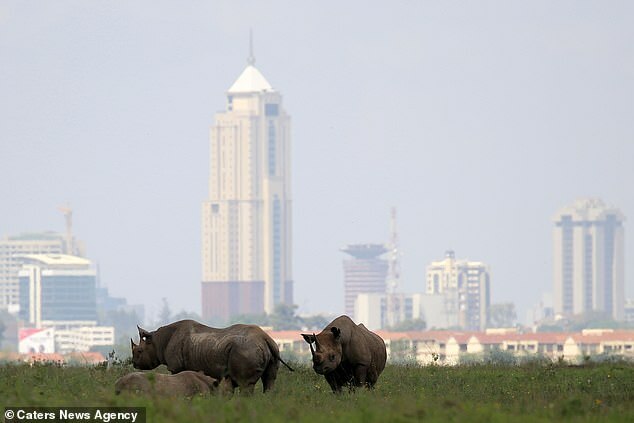 Nairobi is the only city in the world with a National Park and you must admit the shots look awesome with the tall buildings in the background.